Tom Demetrio, name partner at the law firm of Corboy & Demetrio, was a featured speaker at the Law Bulletin Seminars conference, “Jury Deselection and Jury Management,” held at the Swissotel, in Chicago, Illinois, on March 18, 2010. During the program, Demetrio discussed, along with the Honorable William Maddux, Presiding Judge of the Law Division of the Circuit Court of Cook County and John Gilleland, Ph.D., non-verbal and indirect communication with a jury. The Seminar, produced for attorneys, provided 6 hours of continuing legal education credit. Demetrio is a trial attorney with an emphasis on medical negligence, airplane crash, product liability and commercial litigation on behalf of plaintiffs. He is Past President of the Chicago Bar Association and Illinois Trial Lawyers Association and is a fellow of the American College of Trial Lawyers, International Academy of Trial Lawyers and Inner Circle of Advocates. 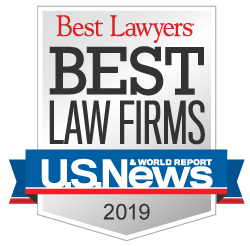 Tom has been listed in Best Lawyers in America since its inception in 1987 and was named by the National Law Journal as one of the Nation's Top Ten Trial Lawyers. The prestigious Lawdragon has called him the "powerhouse" of aviation and medical negligence and "the name for everything from medical malpractice claims to aviation disasters. When tragedy strikes, the families of plane crash victims have no greater ally." Lawdragon also said that Tom is "Chicago’s top trial lawyer" and "stands alone atop the Chicago trial bar." He has done extensive teaching and lecturing worldwide in the field of trial techniques and has authored numerous continuing legal education articles in the field of civil litigation. Tom has acquired over $130 million in jury verdicts, all of which were paid, including the largest personal injury verdict ever upheld by the Illinois Supreme Court, and has negotiated over $1 billion in settlements.